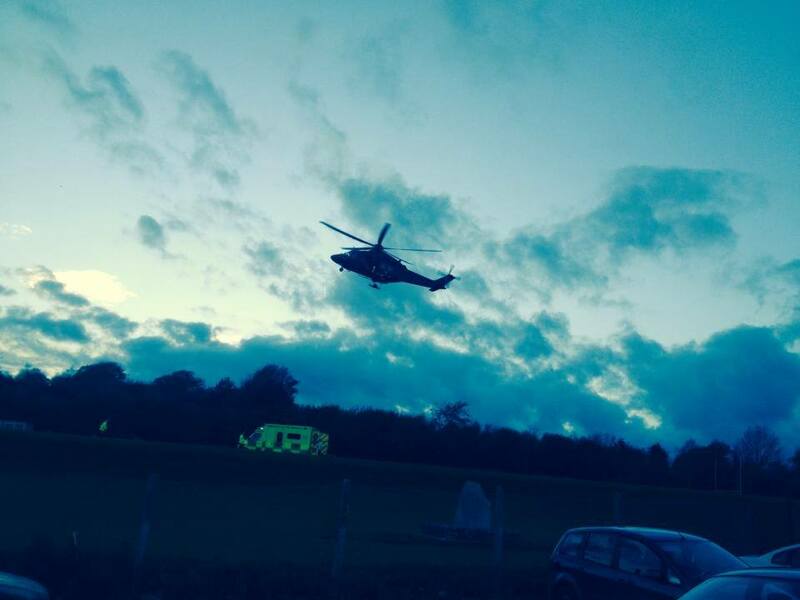 A motor cyclist had to be airlifted to hospital this afternoon following a serious accident near Ballinaclash. The accident, involving a motor bike, happened at the bottom of the straight mile. The helicopter landed in the community field and the motor cyclist was removed from the scene.